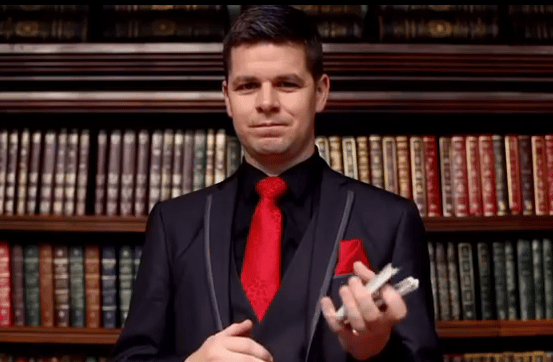 Cork entertainer Gerard Kearney is an award winning magician (International Brotherhood of Magicians Close-up Champion), specialising in contemporary close-up magic for over 17 years. Gerard has entertained guests all over Ireland, the UK, and Spain with his creative Close Up Magic illusions and baffling Mind Reading. Gerard fuses unique sleight of hand magic with baffling mind reading and mentalism to entertain your guests at your special event. He has also appeared in a number of successful movies- War of the Buttons, and The Wind that Shakes the Barley. Whether it is a drinks reception, barbecue, cocktail party, dinner or private party, Gerard Kearney creates a vibrant atmosphere, leaving everyone talking about your event long after it’s over. He is a founding member of the Southern Brotherhood of Magicians (affiliate to The International Brotherhood of Magicians, the world’s largest magic organisation). Close Up Magic is a field of magic that happens up close, right under the noses of the spectators using familiar props such as cards, coins and other small objects. This is perfect entertainment for weddings, Christmas parties, private parties, trade shows, corporate functions or dinner parties. Gerard works venues by waltzing from one group to another getting almost everybody to participate, giving that personal touch, leaving your guests gasping with amazement. The perfect Ice-Breaker.